Some people are content to use an adjustable crescent wrench; others insist on a box wrench that exactly matches the bolt in question. If you fit into the latter category and love cross-country mountain bike racing, the Canyon Lux CF 9.0 Pro Race is the tool for the job. The Lux that we tested is a stripped-down racing machine. From its frame design to the componentry, Canyon clearly looked at the demands of modern World Cup courses and created a 29er race bike exactly for that purpose. This means the Lux is light, efficient, but sometimes a tad unforgiving. 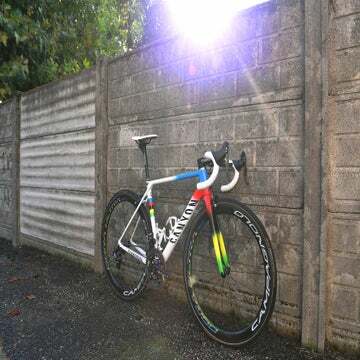 Its frame and shock combine to weigh less than 2,000 grams, putting some older road bikes to shame. To achieve this feathery weight, Canyon uses carbon fiber nearly everywhere and designed a minimalist shock linkage. Integrated features abound with a KS LEV SI dropper post that has an internally routed cable, as well as an internal lock-out cable for the RockShox Deluxe RLR shock. Traditionalists might look askance at the dropper post when we classify this as a pure XC race bike, but given how technical race tracks are these days, it makes sense. After all, Kate Courtney won 2018 worlds with a dropper post. 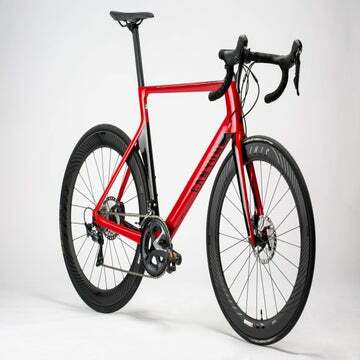 Canyon took a similarly modern approach to the bike’s geometry with a long front end (435mm reach on a size M), shorter stem (80mm), and a 70-degree head tube angle. The Lux also has a 74.5-degree seat tube angle to position riders over the bottom bracket. This results in better climbing performance. 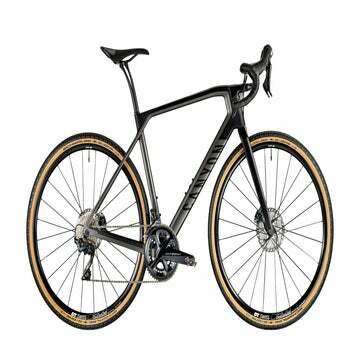 You feel centered on the bike, and the long front end affords stability on high-speed descents. That head tube angle feels like a bit of a compromise. On steep drop-ins, it is a little skittish, but that’s a sensible compromise given that, in most XC race scenarios, you want responsive steering. The suspension design also takes cues from the demands of a World Cup race. It is a simple single-pivot platform that drives a sleek rocker, which mounts directly to the rear shock (again, to save grams). It is actually quite active when the suspension is open. When you actuate the handlebar-mounted lockout lever, the front and rear suspension firm up entirely. This is perfect for high-speed starts or long fireroad climbs. The configuration makes sense for cross-country racing, but we found ourselves wishing it had an in-between option for rough, technical climbs. Sometimes, having a slightly active suspension platform aids traction on tricky uphills. A DW Link design, for instance, shines in those scenarios. When the Lux’s 100mm-travel suspension is unlocked, it is a bit too active while pedaling on some trails. On the other hand, that wide-open suspension feel was awesome on rough descents and rarely felt overwhelmed. Beyond the fundamentals, the Lux’s frame has other thoughtful details. The rear thru-axle has an integrated lever that folds up and neatly slides into the axle and out of trouble — Canyon calls that a Quixle. The chainstay is protected by an integrated guard to ward off chain slap. The headset features the Impact Protection Unit, which is a headset top cap that hits a rubber bumper on the frame to prevent the handlebar from damaging the top tube when you crash. (We tested this feature on a particularly loose and sketchy corner on day six of the Breck Epic.) And finally, in keeping with the bike’s World Cup tendencies, the Lux easily fits two water bottles in the frame, a rarity on a full suspension bike. Like the frame, Canyon was thoughtful in choosing parts that would suit the Lux’s purpose. It comes stock with Reynolds Blacklabel 29er carbon fiber wheels — a major upgrade for an XC racer. We did manage to put a ding in the rear rim at Breck Epic, but fortunately, Reynolds has a lifetime warranty. Canyon opted for a 110mm-travel RockShox SID fork to match the rear shock and play nicely with the handlebar-mounted lockout. Even with an air volume reducer, this fork felt a bit harsh, especially on high-speed trails with continuous bumps and chop. That said, for XC racing, it is a solid choice in terms of weight and steering performance. While the bar-mounted lockout is convenient and simple, it has a heavy lever feel since it is pulling two cables at once. If you ride and race in muddy conditions, those cables might require regular maintenance. As well as the suspension, the Lux has a nearly all-SRAM build with an XX1 Eagle drivetrain and the Level Ultimate brakes, which are perhaps SRAM’s best brakes to date. The GripShift shifter was a bit of a throwback to the late 1990s, but we adapted to it and even learned to love it. It might not be to every rider’s taste though. Why GripShift? It is yet another detail to make this bike a pure racer because it is slightly lighter and slightly simpler. Given the Lux’s singleminded focus on speed, you might wonder if this bike would be versatile enough without a number plate on the bars. With just 100mm of travel, it is a bit unforgiving on babyhead-strewn trails, but if you hang on tight, it’ll be enough. Given it’s stretched out race geometry, it feels a bit nervous when you point it down a steep chute, but lower the dropper post and it is fine. If you have no ambitions of racing, this bike might not be the ideal setup, but if you regularly compete in anything from traditional XC to marathons like the Epic Rides series, or even the Breck Epic, the Lux is one of the sharpest tools you can wield.